I'm pretty torn. I really enjoy having a leg up against y'all when arguing, but I really don't want the Patriots to win. Ever. Ultimately I'd prefer y'all win, but I'm not really super happy with either result. So... good luck? Like the Rams a lot this game. If the line gets to 4 I might make a move. Any worry about Wade's struggles against Kamara recieving the ball? Seems like NOLA got away from it for some reason but who covers James White if Talib is on Gronk and Edelmen is doubled? Isaac Bruce is on GMFB and he said when asked about that 2001 Superbowl against the Patriots. He said that there were head scratching moments on how precise the Patriots defense was in that game. All season long the offense has been running by people waiving at them as they were flying by. Buckley of the Patriots literally got there two weeks before the game and during the game he knew exactly where Bruce was going to be when he got their in his in routes. That shocked Bruce. So without Bruce actually saying, the Patriots cheated, he basically believes just like Faulk, and Vermeil and other Rams players believe that the Patriots cheated. This upcoming game against the Patriots is bigger than just a game. Its bigger than just a Superbowl. 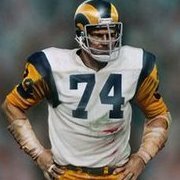 We need to rewrite a crime that took place the day before the game when the Patriots filmed the Rams walk through and knew exactly what the Rams were going to be doing the next day when the actual game took place. I can wait for this game. Im pumped and ready to go lol. Marshall Faulk was one of the smartest football players I've ever seen. He can be a head case at times, but when he says that the Patriots were ready for numerous plays that they've never run before aside of the final walkthrough, I believe him. That being said, I don't want revenge. Not going to change the results of 2001. I just want that Lombardi for this season and to see Mcvay and our players hoist that thing in the air. I hear you. I guess for me its deeper. My first ever girlfriend was a Patriots fan and she would rub it in my face every chance she got about how the Patriots beat the Rams. We both went back and forth about that game. Of course she said the Patriots didnt cheat. I said they did. Now I wasnt a fool because I let her get the last word in because I have to make my woman happy in the battle lol. Then my best friend who never admits to the Patriots cheating and says all of their rings are legit and we go back and forth on that too. Now its different with him because he is a Saints fan through and through but he just want to go against the notion that the Patriots didnt cheat the Rams. That they didnt deflate balls and Brady didnt deserve to get suspended. 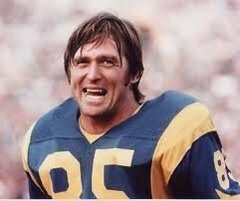 All in all I want the Rams to win because I do want to see McVay and the organization get what they work so hard for. 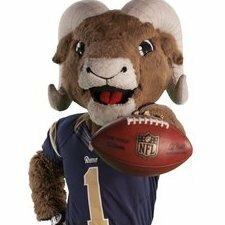 I want Goff to win just because all the stuff he had to endure from day 1. Not many people thought he shouldve been 1st pick. Then hard knocks happened, then the suffering he had to deal with having Fisher as his HC. At the same time though winning is helping rewrite a wrong in 2001 for those who have waited 18yrs just to get back. 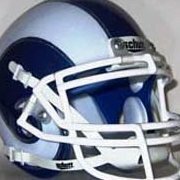 McVay was 14yrs old at the Superbowl. I was 14yrs watching the Superbowl at home. 18yrs later McVay is coaching the Rams in the Superbowl and Ill be in front of my big screen tv watching the Superbowl and Ive never wanting a win so badly than I do this one. Yep, that was the adjustment. We were blowing Kamara up when he tried to leak out of the backfield. White is a problem, but New England poses a threat that New Orleans didn't - an all world TE in Gronk and still one of the best slot receivers in Edelman (who's been effective in both of New England's games unlike Gronk and White). What's the plan to slow them down on top of their running game that's been humming? Hopefully between Talib on Gronk and NRC on Edleman we'll be okay. Slot corner and a bigger physical corner are 2 of our strengths. If I ever see Gronk isolated one on one with Joyner i'm going to lose my mind.